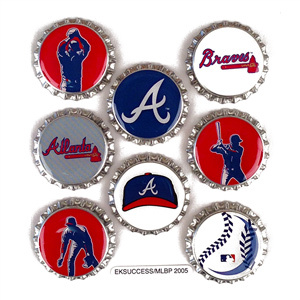 Atlanta Braves Adhesive Bottle Caps are officially licensed by MLB and feature Atlanta Braves team colors and logos . These are actual metal bottle caps with a strong adhesive backing to stick on almost any surface (works best on a paper surface). 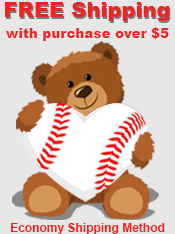 Get them while they last! These MLB Adhesive Bottle Caps have been discontinued by the manufacturer and we only have a limited quantity left.